This church has such a special meaning to me as I sang there as part of a school choir when I was very young and my paternal grandfather was a warden there as well. 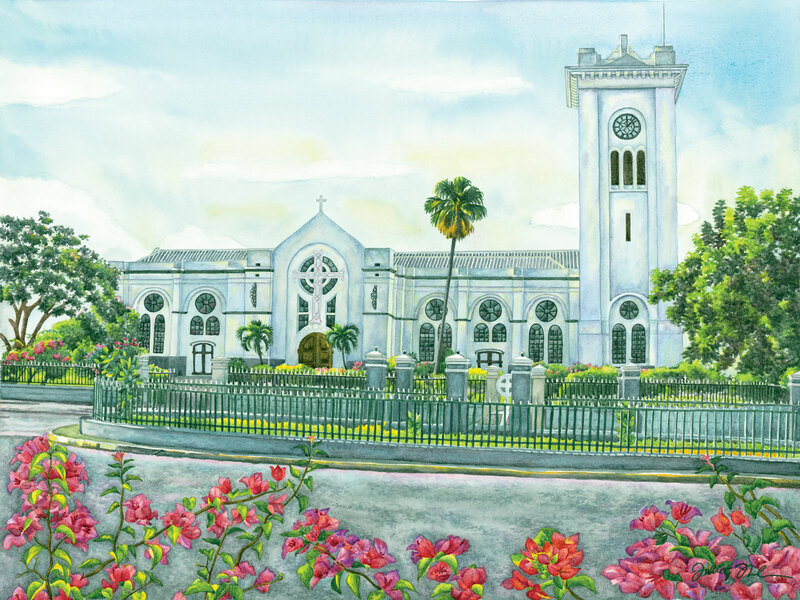 I therefore decided that this “people’s church”, located in downtown Kingston, Jamaica was a church that I would one day paint and add to my church painting series, and that I did. This is a limited edition of 50 giclée prints on watercolor paper. The original painting has not been sold.